November 22, 2013 will be the 50th anniversary of the assassination of President John F. Kennedy. 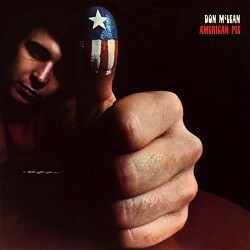 This is the fifth post in a series that will run throughout this year focusing on songs that address the JFK assassination. 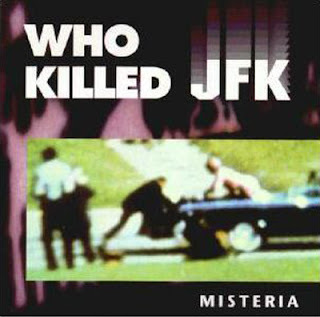 “Who Killed JFK” is a techno track by Misteria, released in 1992. 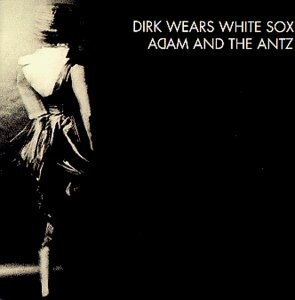 Misteria, active in the early 1990s, was the German duo of Peter Ries (also known as Marc Cassandra) and Wolfgang Filz. Over a driving dance rhythm and an atmosphere of emergency created by synthesizers mimicking police sirens, a voice asks over and over “Who killed JFK?” Despite the title, the track really doesn’t try to answer its own question about the JFK assassination in any way. 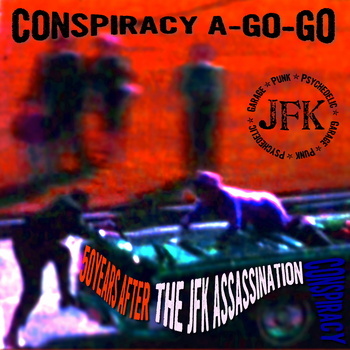 The vinyl and CD releases of Who Killed JFK include three versions of the track, the “Radio Cut” and the “Aggressiv Cut” include a soundbite from JFK’s inaugural address (“Let the oppressed go free”) and his famous quote from the speech he gave in West Berlin in June of 1963, “Two thousand years ago the proudest boast was ‘civis Romanus sum.’ Today, in the world of freedom, the proudest boast is ‘Ich bin ein Berliner! '” The “Energetic Cut” also includes these sound bites, but opens with what would appear to be media coverage of JFK’s funeral and features more quotes from JFK’s inaugural address. It’s not clear whether Misteria think these quotes, which show Kennedy as a staunch Cold Warrior, had anything to do with JFK’s assassination. It seems more likely that Kennedy’s statement of support for the people of West Berlin after the building of the Berlin Wall resonated with Misteria and they used the soundbites in tribute to JFK. The cover photo for Who Killed JFK, which shows a picture taken just after President Kennedy had been shot, is puzzling on a number of levels. 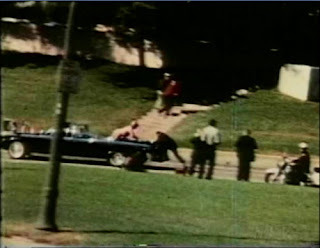 The image shows Jackie Kennedy as she went up onto the trunk of the car to retrieve a piece of JFK’s skull, while secret service agent Clint Hill is trying to jump on the back of the limousine. At first I thought it was from the Zapruder film, but something didn’t look quite right. After looking into it a little bit I discovered that the cover image is actually from a home movie taken from the opposite direction by Orville Nix. The image on the cover of Who Killed JFK has been reversed and cropped. Here is the frame from the Nix film in its original orientation. The British documentary The Day the Dream Died (1988), directed by the English musical duo Godley & Creme for the TV series Dispatches, showed a frame from the Nix film and claimed that “French film director Jean Michel Charlier” had used “optical enhancement” to reveal a figure on the grassy knoll holding a rifle “in a firing position.” The Day the Dream Died speculated that this man was David Ferrie, and that he, as part of a larger conspiracy, had fired the shot that hit President Kennedy in the head. Perhaps Misteria was referring to this conjecture as an answer to the question raised in the song’s title. But why is the photo reversed and cropped on the cover of Who Killed JFK? If they were referencing the use of the Nix film to establish that another shooter had fired at President Kennedy from a position on the grassy knoll, the cover image is cropped in a way that removes that evidence. Another oddity is that on my CD copy of Who Killed JFK, the cover photo is credited as “Foto: dpa”. DPA is the German Press Agency. It’s possible that Misteria simply did not know the source of the image or have any idea of its significance. This entry was posted in JFK Assassination. Tags: JFK Assassination, Misteria.